Social media platform Twitter will be added to the S&P 500 stock index before the start of trading Thursday, a move that will expand the number of individual investors who own the stock through index funds that track the large-company stock gauge. Twitter, whose shares are still trading more than 15% below where they were at the close of its first day of trading back on Nov. 7, 2013, will replace agriculture and chemicals maker Monsanto, which has been acquired by German giant Bayer, a deal that is expected to close soon. The announcement came from S&P Dow Jones Indexes after the close of trading last night. The tech company's visibility has skyrocketed since President Trump entered the White House. He has used the digital communications platform to tweet messages on topics from trade and the economy, to the NFL's kneeling controversy during the national anthem without any media filters. The stock, which is up nearly 58% so far in 2018 and has more than doubled in the past year, closed up 3.4% Monday at $37.88. 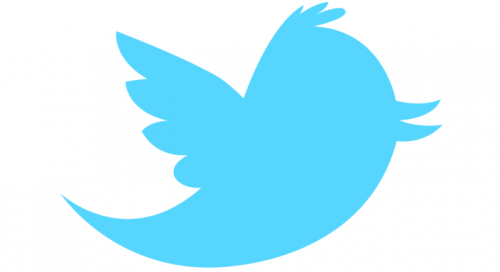 Twitter's market value was an estimated $28.5 billion heading into Tuesday's trading session. Twitter's entry into the S&P 500 sent its shares up more than 5% in early trading Tuesday to its highest level since March 2015. The reason? The stock's inclusion in the S&P 500 means mutual funds and exchange-traded funds, or ETFs, that mimic and track the benchmark stock index must now buy Twitter shares to ensure they have the proper weighting in the stock. The S&P 500, a popular index that many money managers' performance is compared against, is also viewed as the best gauge of the overall health of the stock market. There is more than $7.8 trillion benchmarked to the index, with index fund assets making up approximately $2.2 trillion of this total, according to S&P Dow Jones Indices. Twitter, which is headquartered in San Francisco, will be added to the broad "information technology" sector of the S&P 500, a move that boosts the index's already sizable exposure to tech stocks. Tech stocks account for 26.2% of the closely watched index, which is weighted by market value, up from 20.8% at the start of the year, according to Bespoke Investment Group. The index's current tech exposure is the highest since November 2000. The addition of Twitter means individual investors will own an even bigger chunk of technology. "We are keeping an eye" on the tech weighting, Justin Walters, co-founder at Bespoke, told USA TODAY. "These levels have only been seen once in history, and that was near the very peak of the dot-com bubble in 1999-2000." Technology has been a market leader in 2018 as investors invest money in a part of the economy that is growing rapidly, innovating and could benefit from an expected increase in spending by businesses looking to expand their operations. The tech sector of the S&P 500 recently broke out to new all-time highs. Amazon and Alphabet could join '$1,000 Stock Club' but is that a sign of trouble? Who are the stock market heavyweights?